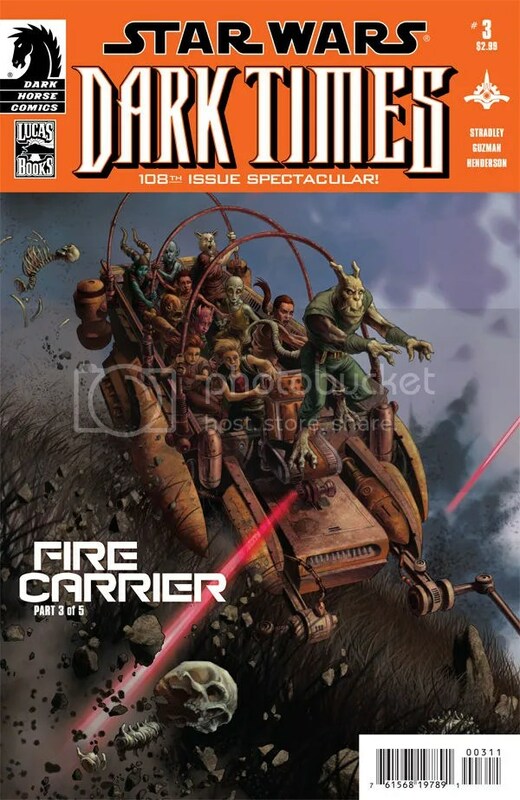 Dark Times: Fire Carrier #3 hits stores today. As Jedi Master K’Kruhk and a band of Padawans distance themselves from the Empire’s refugee camp, they discover a deadly secret the local militia is keeping from their Imperial masters! Now, marked for death by both factions, they must find a place of safety. But how does one escape the dark times? Click here for a six page preview.